Home / Health & Beauty / What Makeup Brushes Do I Really Need? I got into makeup sometime in college. Before that, I shudder to see the pictures. And then, maybe worse, was my first year or two experimenting with it…but, I digress. These days I would count makeup as a hobby. Learning about it, teaching others about it, sharing my favorite hacks and products, and strongly advocating the frequent-wearing of false eyelashes (seriously, just do it!). One thing that really upped my makeup game was when I began using makeup brushes…not just relying on the applicators that came with the products I bought from the drugstore (no shame in that, by the way!). If you want to start getting a little more serious about your makeup, I suggest you get a few staple brushes for your bag. And doing so doesn’t have to break the bank! 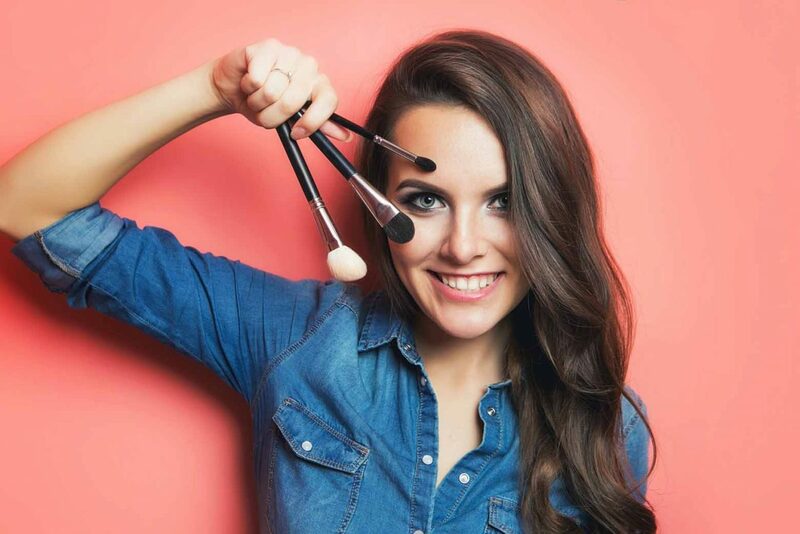 Using brushes will make your makeup application easier and look more professional! 1. e.l.f. Eyeshadow “C” Brush ($1-$3). I actually prefer the $1 brush to the $3 brush for this particular one! I use it to apply two tones of shadow, a lighter shade all over my lid and a darker shade in the crease of my eye. This brush gets daily use. 2. e.l.f. Powder Brush ($3). This one is from their studio line. I use it to apply mineral powder foundation all over my face and to blend my blush and foundation as a final step. This also gets daily use. 3. Any small angled brush. 4. e.l.f. Blush Brush ($3). This is also from their studio line. I use this brush to apply blush from the apples of my cheeks to my hairline. It gets daily use. Using brushes will make your makeup application easier and look more professional! So go grab these brushes and start practicing with them…it might seem a little awkward at first but you’ll get used to it and grow to love it! You can find e.l.f. brushes and beauty products at Target, Ulta, Walmart, Amazon, or on their website, of course! And, if you’re new to brush techniques, there are plenty of great tutorials on YouTube to learn more about application.